Unfortunately, Budget 2019 proposes no changes in the tax rates, either for individuals or corporations. Instead, Budget 2019 proposes a disconnected flurry of tweaks and changes to a variety of personal and business tax rules having a relatively small financial effect. The Department of Finance itself estimates the cumulative net fiscal impact for the 2019/2020 fiscal year of all tax measures proposed in Budget 2019 to be a paltry $18 million. 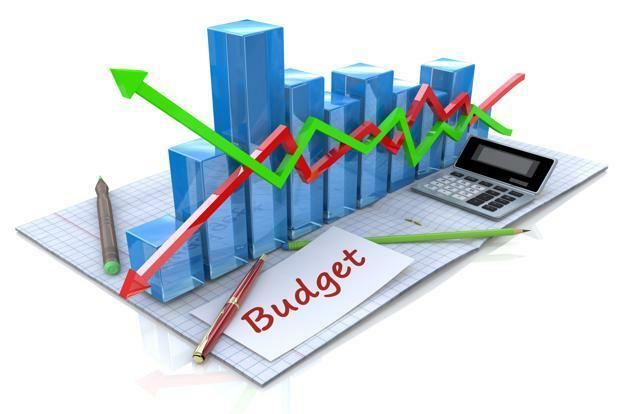 Cynical observers might view Budget 2019 as a budget aimed at the next election, with modest benefits for first-time home buyers, those entering the workforce, and those planning for retirement, rather than a budget designed to reinvigorate the economy. Following on several measures introduced in recent years by the Government of Canada, as well as the British Columbia and Ontario governments to make housing more affordable, Budget 2019 proposes new measures aimed principally at first-time home buyers. The speculated increased amortization period for insured mortgages, however, was not among the measures. Instead, Budget 2019 proposes the introduction of an income-tested Canada Mortgage and Housing Corporation (CMHC)-administered shared equity mortgage program and proposes changes to the existing Home Buyer’s Plan (HBP). Budget 2019 also proposes an extension of the capital gains deferral under the change-in-use rules for principal residences to multi-unit residential properties, as well as further expanded funding for the Rental Construction Financing Initiative. Budget 2019 proposes to establish $1.25 billion in funding over three years for an income-tested shared equity mortgage program to be administered by CMHC, with an additional $100 million in funding to be administered by CMHC for lending to existing providers of shared equity mortgages. Under the CMHC administered First-Time Home Buyer Incentive, first-time home buyers with household income under $120,000 per year would qualify for a 5 per cent shared equity mortgage on existing homes or a 10 per cent shared equity mortgage on new construction homes (including condominium units). Under the program, CMHC would lower the total cost of borrowing for the first-time home buyers by advancing 5 per cent or 10 per cent, as the case may be, of the cost of the home, which amount would be repayable to CMHC on the future sale of the home. An additional requirement will be that the insured mortgage and First-Time Home Buyer Incentive cannot be greater than four times the participants’ annual household incomes. This establishes an effective cap to the program for housing units with a value just over $500,000 (assuming a 5 per cent down payment). It is therefore questionable whether the program will have any value in the key markets of Toronto and Vancouver where the average condominium price is already well over $500,000. Further, both this measure and the expansion of the HBP described below effectively only increase access to debt financing, rather than address affordability, as they are nothing more than interest-free loans that buyers will have to eventually repay, whether to CMHC or to their registered retirement savings plan (RRSP). Budget 2019 proposes to increase the amount qualifying Canadians can withdraw from their RRSP without penalty from $25,000 to $35,000 under the HBP. In addition, starting in 2019, Canadians who have suffered a breakdown in their marriage or common-law relationship may also qualify for the HBP even if they do not meet certain of the existing requirements, provided they are living separate and apart from their former spouse or common-law partner for at least 90 days as a result of a breakdown in the relationship. This exception will generally not be available if the individual’s new principal place of residence is a home occupied with a new spouse or common-law partner. Existing rules under the Income Tax Act (Canada) (ITA) deem a taxpayer to have disposed of and reacquired a property when there is a change in the use of the property (e.g., rental property to personal use, and vice-versa). The existing rules permit a taxpayer to elect, on the conversion of a principal residence to/from an income producing property, to defer the realization of any accrued capital gain until the gain is actually realized on a future disposition. The election has only been available for single unit dwellings. Budget 2019 proposes to extend the availability of the election to multi-unit residential properties (e.g., duplexes, houses with legal basement rental suites, etc. ), such that where a taxpayer moves into or out of one of the units as their principal residence, the election would also be available. In 2017, the Government of Canada announced the launch of the Rental Construction Financing Initiative, originally a four-year program that provides low cost loans for the construction of new rental housing for certain types of lower and middle income households. Budget 2019 proposes an additional $10 billion of funding over nine years, extending the program until 2028. The Department of Finance estimates that with this increase, on an accrual basis, the program will cost the Government of Canada $829.5 million over 19 years, starting in 2019. Leading up to the 2015 federal election, the current government’s platform contained a pledge to cap or limit the availability of the employee stock option deduction contained in the ITA. However, Budget 2016 did not contain measures to implement this election platform pledge and subsequent budgets have been silent on the issue. Budget 2019 revisits the issue and announces the government’s intention to limit the stock option deduction for high-income earners employed by large, long-established, mature companies, but few details were provided in the Budget 2019 materials. Under the current rules, a deduction may be available equal to 50 per cent of the benefit derived from exercising or disposing of an employee stock option. This 50 per cent inclusion rate results in taxation to the employee at capital gains-like rates. The current rules do not contain limits as to the income level of the employee claiming the stock option deduction or on the size, maturity or profitability of the company granting the option. The current rules generally deny a deduction to the employer in respect of the grant or the exercise of the option. Budget 2019 proposes to implement a $200,000 annual cap for high-income earners at large, long-established, mature companies on employee stock options that can benefit from the stock option deduction. The cap will be determined by reference to the value of the underlying shares at the date of grant of the option. The Budget materials suggest that the employer may be entitled to claim a deduction in respect of options with a value in excess of the cap. The stated rationale for the proposal is that the current stock option deduction is highly regressive, with 6 per cent of deduction claimants, those earning over $1 million annually, accounting for approximately 66 per cent of the value of the deduction. Budget 2019 states that the public policy rationale for the deduction is to support younger and growing Canadian businesses and not as a tax-preferred method of compensating executives of large, mature companies. Budget 2019 states that the employee stock option deduction would remain uncapped for start-ups and rapidly growing Canadian businesses. Further, any changes would apply on a going-forward basis only and would not apply to options granted prior to the announcement of legislative proposals. Further details are to be provided before the summer of 2019, although it is not clear that this timeline will include legislative proposals. In the interim, companies that rely on the current employee stock option deduction rules as part of their incentive packages may wish to consider granting additional options prior to the announcement of legislative proposals. The current rules governing registered plans require that the plan begin to pay the annuitant at age 71. Budget 2019 proposes to amend the ITA by permitting certain registered plans (RRSPs, defined contribution registered pension plans (RPPs), registered retirement income funds (RRIFs), deferred profit sharing plans and pooled registered pension plans (PRPPs)) to purchase advanced life deferred annuities (ALDAs), the commencement of which can be deferred up to age 85. An individual will be subject to an indexed lifetime ALDA limit in respect of all qualifying plans of $150,000. There is also a qualified plan limit equal to 25 per cent of the value of the property held in the plan. ALDAs will be subject to certain design restrictions to ensure that they function as typical annuity contracts, such as a requirement that the periodic payments be equal (subject to indexing) and that the death benefit not exceed the premium paid minus the periodic payments received. On the death of the annuitant, any lump sum death benefit would generally be treated as income and would be subject to the same deferral rules that apply to registered plans in respect of spouses, common-law partners and financially dependent children and grandchildren. Budget 2019 also proposes to amend the ITA by permitting PRPPs and defined contribution RPPs to provide a variable payment life annuity (VPLA) to plan members. Currently, these plans can only provide retirement benefits to their members by means of transfers to members’ RRSPs or RRIFs, variable benefits paid to members, or by purchasing an annuity with a licensed annuity provider. The VLPA payments can vary based on the investment performance of the fund and the mortality experience of the VPLA annuitants. Budget 2019 also enumerates several design restrictions that will apply to VLPAs. There is no draft legislation for ALDAs or VLPAs. The Government of Canada undertakes to consult on potential changes to federal pension benefits standards legislation in respect of VLPAs. Income earned in a tax-free savings account (TFSA) is generally free of tax under the ITA, even on withdrawal. However, if a TFSA is used to carry on business, then Part I tax is payable on that income, whether by the TFSA or, if the TFSA has insufficient assets to meet its tax liabilities, the trustee of the TFSA (i.e., a financial institution) pursuant to subsection 159(3) of the ITA. This potential exposure has been of concern to trustees of TFSAs and the Investment Industry Association of Canada, which have argued that it can be difficult for TFSA holders, let alone TFSA trustees, to determine if a TFSA has carried on business. Budget 2019 addresses some of their concerns. A proposed new subsection 146.2(6.1) of the ITA will provide that the holder of a TFSA is jointly and severally liable with the TFSA to pay any tax attributable to a business carried on by a TFSA. Further, it will limit a TFSA trustee’s liability to the total of the property in the possession or control of the trustee and the property distributed from the TFSA on or after the date that a notice of assessment was sent by the Canada Revenue Agency (CRA). In practice, if a notice of assessment is issued after a TFSA has been closed, the TFSA trustee will not be liable for any tax payable by virtue of a TFSA being found to have carried on business. These proposed changes are based on the view that a TFSA holder should be better positioned to determine whether the activities of the TFSA constitute the carrying on of business. However, such a determination is difficult. Whether a person is carrying on a business is a fact-based inquiry, which has resulted in several court cases and CRA publications to determine whether stock trading activity may rise to the level of carrying on a business. The proposed addition to the ITA will apply to business activities in a TFSA for the 2019 and subsequent taxation years. When units of a mutual fund trust are redeemed, the redemption price reflects any accrued gains on property held by the trust and the unitholder is taxed on those accrued gains. There is a potential for double taxation when the mutual fund trust disposes of the property and the accrued gains are realized and distributed to the remaining unitholders. When a mutual fund trust disposes of investments to fund a redemption of units, this potential for double taxation is addressed by the “capital gains refund mechanism,” which provides the mutual fund trust with a refund of the tax that it has paid on its capital gains that are attributable to the redeeming unitholder. Due to its formulaic nature, the capital gains refund mechanism may not fully relieve double taxation. Therefore, most mutual fund trusts also provide for an “allocation to redeemers methodology.” Under this methodology, any capital gain realized by the mutual fund trust in connection with the redemption may be designated as a capital gain of the redeeming unitholder and not of any remaining unitholder. The redeeming unitholder would include the capital gain in its income allowing the mutual fund trust to claim a corresponding deduction from income. The amount of the allocated capital gain reduces the redemption proceeds received by the unitholder and thus the capital gain that would have otherwise been realized by the unitholder on the redemption. This eliminates double tax to the redeeming unitholder. The Government of Canada expressed concern that the “allocation to redeemers methodology” may be used to allocate capital gains to redeeming unitholders in excess of the capital gains that they would otherwise realize on the redemption of their units. While this does not increase the amount of gain allocable to the redeeming unitholder, it decreases the amount of gain that the mutual fund trust is required to allocate to its remaining unitholders. This results in an overall tax deferral until the remaining unitholders redeem their units. Budget 2019 proposes changes that would deny a deduction to a mutual fund trust of the portion of the gain that is allocated to a redeeming unitholder that is greater than the capital gain that would have otherwise been realized by the unitholder on the redemption, where the unitholder’s redemption proceeds are reduced by the allocation. These changes will apply to taxation years of mutual fund trusts that begin on or after March 19, 2019. Budget 2019 also proposes to deny a deduction to a mutual fund trust that allocates fully taxable income to a redeeming unitholder if the unitholder’s redemption proceeds are reduced by the amount of the allocation. This measure is intended to prevent the use of the “allocation to redeemers methodology” to convert the returns on an investment that would otherwise have the character of ordinary income into capital gains for the remaining shareholders. This change will be effective for taxation years of mutual fund trusts that begin on or after March 18, 2019. Character conversion transactions are typically aimed at converting amounts that would have been fully taxed as income into capital gains, only 50 per cent of which are included in taxable income. These transactions use derivative agreements and have already been the subject of amendments to the ITA in 2013. Budget 2019 now proposes further limitations on the use of derivative agreements to implement character conversion transactions. To appreciate the changes proposed in Budget 2019 it is useful to consider historic planning techniques using derivative agreements. A taxpayer who wanted economic returns from a portfolio of Canadian securities that would normally produce fully taxable income (the reference portfolio), might instead enter into a forward purchase agreement with a counterparty to acquire the securities from the counterparty at a future date. The amount the taxpayer would pay to the counterparty on entering into the agreement would equal the cost of the reference portfolio at that time. On the settlement date of the forward purchase agreement, the taxpayer would acquire the Canadian securities from the counterparty and immediately sell them into the market. If the taxpayer elected to have all its Canadian securities treated as capital property, the gain realized would be taxed as a capital gain. In 2013, the ITA was amended to address this type of planning. The 2013 amendments deemed the gain from a “derivative forward agreement” to be fully taxable as income rather than as a capital gain. Under these rules, a derivative forward agreement would include any agreement by a taxpayer to purchase capital property from a counterparty where the term of the agreement exceeds 180 days and the difference between the amount paid by the taxpayer and the FMV of the capital property to be delivered by the counterparty is derivative in nature (i.e. attributable by reference to an underlying interest, other than certain excluded interests). A derivative forward agreement also included agreements by a taxpayer to sell capital property that meets similar conditions. The 2013 amendments to the ITA included an important commercial transaction exception so that the rules affecting derivative forward agreements would not apply to ordinary commercial transactions. This exception applies where the economic return to the taxpayer is based on the actual property that is being acquired by the taxpayer from the counterparty. Budget 2019 suggests that this exception has been used by some taxpayers to engage in more sophisticated character conversion transactions. Under such transactions, for example, a mutual fund trust (the reference fund) would hold a portfolio of investments that would yield fully taxable income. A second mutual fund trust (the investor fund) would enter into a forward purchase agreement with a counterparty to acquire units of the reference fund. On the settlement of the forward purchase agreement, the investor fund would acquire units of the reference fund from the counterparty and immediately sell or redeem the units and realize a capital gain. The investor fund would not treat the forward purchase agreement as a derivative forward agreement on the basis that the commercial transaction exception applied. Budget 2019 proposes to add a qualification to the commercial transaction exception so that it will be unavailable if it can reasonably be considered that one of the main purposes of the transaction is to convert an amount into a capital gain. These changes will apply to transactions entered into on or after March 19, 2019. In addition, after December 2019 these changes will also apply to transactions that were entered into before March 19, 2019. Transfer pricing refers to the price at which goods, services and intangibles are transacted across international borders by parties who are not dealing with each other at arm’s length. Under these rules, a transfer between non-arm’s length parties must be at a price that is consistent with the price that arm’s length parties would have negotiated. In some cases, both the transfer pricing rules and other provisions of the ITA can apply to the same transaction, creating uncertainty as to which provision should be given priority. Budget 2019 proposes to amend the ITA to clarify that the transfer pricing rules must be applied before any other provision of the ITA. The existing exceptions to the transfer pricing rules which apply to Canadian resident corporations which have an amount owing from, or extend a guarantee in respect of an amount owing by, a controlled foreign affiliate will continue to apply. This measure will apply to taxation years that begin on or after March 19, 2019. The CRA is generally precluded from issuing a reassessment against a taxpayer after the expiry of the normal reassessment period. The normal reassessment period under the ITA depends on the taxpayer, but is generally three or four years after the date of an initial assessment, subject to certain exceptions. One such exception is a three-year extension to the reassessment period for assessments made as a consequence of a transaction involving a taxpayer and a non-arm’s length non-resident. Although this three-year extension to the normal reassessment period applies most often in transfer pricing cases, the term “transaction” as used in the exception did not refer to the expanded definition of “transaction” in the transfer pricing rules, which includes an arrangement or event. Budget 2019 proposes to amend the three-year extension to ensure that it applies to a “transaction” under the broader meaning of that term under the transfer pricing rules. This measure applies to taxation years for which the normal reassessment period ends on or after March 19, 2019. Following the release of the report Addressing Base Erosion and Profit Shifting (BEPS) in February 2013, the Organization for Economic Co-operation and Development (OECD) and G20 countries adopted a 15-point action plan to address BEPS. BEPS generally refers to tax planning arrangements undertaken by multinational enterprises (MNEs) which exploit the interaction between domestic and international rules to minimize tax. One of the main objectives of the OECD with the BEPS project was to ensure that an MNE’s profits be allocated based on the location of the economic activities which generate profits and the location where value is created. Pursuant to transfer pricing rules, a Canadian taxpayer that enters into a non-arm’s length transaction with a non-resident must prepare documentation which explains and substantiates the transfer price for that transaction. As a result of BEPS, MNEs in Canada now have additional reporting requirements which require them to file country-by-country reports that summarize their global business activities as well as their global allocation of income and taxes. These reports are exchanged between the CRA and other tax authorities. Following the first exchanges of country-by-country reports in 2018, the Government of Canada is now participating in an OECD review of these reports to ensure that they allow for proper assessment of transfer pricing and other BEPS risks. This review is scheduled to be completed in 2020. The OECD’s Multilateral Convention to Implement Tax Treaty Related Measures to Prevent Base Erosion and Profit Shifting (MLI) was developed to allow participating jurisdictions to adopt the tax treaty-related BEPS measures without having to individually renegotiate those treaties. The Government of Canada along with 86 other jurisdictions is a party to the MLI and is currently taking the necessary steps to enact the MLI into Canadian law. We note that the Government of Canada has not indicated any further withdrawal of reservations in the MLI. The foreign affiliate dumping rules were first introduced in Budget 2012 to prevent a Canadian subsidiary from borrowing to invest in foreign affiliates as a means of eroding the Canadian tax base through interest deductions that do not result in taxable income in return. These rules also prevented a Canadian subsidiary from using internal funds to invest in foreign affiliates as an indirect way of repatriating profits to its non-resident corporate shareholder without incurring Canadian withholding tax. These rules only applied to a corporation resident in Canada (CRIC) that was controlled by a non-resident corporation or by a related group of non-resident corporations. Budget 2019 proposes to expand these rules to CRICs that are controlled by a non-resident individual or trust or a non-arm’s length group comprised of any combination of non-resident individuals, trusts or corporations. The proposed rules will apply to transactions and events that occur on or after March 19, 2019. Budget 2019 proposes the creation of an enhanced deduction for certain zero-emission vehicles. In particular, vehicles that qualify under new Class 54 or Class 55 will be eligible for a first year CCA rate of 100 per cent, subject to the short taxation year rule. Zero-emission vehicles that would previously have been dealt with in Class 10 or 10.1 (passenger vehicles that cost more than $30,000 and other motor vehicles not included in another class) will now be dealt with in Class 54. For Class 54, the deduction limit will be $55,000 plus applicable sales tax, which is higher than the current CCA limit of $30,000 plus sales tax applying to passenger vehicles. Zero-emission vehicles that would previously have been dealt with in Class 16 (such as taxis, vehicles used in a daily car rental business, and freight trucks that are rated above 11,788 kg) will now be dealt with in Class 55. CCA will be deductible on the remaining balances in the new CCA classes on a declining-balance basis at a rate of 30 per cent for Class 54 and 40 per cent for Class 55 vehicles. These rules will be effective for zero-emission vehicles acquired on or after March 19, 2019 and available for use prior to 2028; however, there is a phase out for vehicles that become available for use after 2023. To qualify, a vehicle must be included in Class 10, 10.1 or 16, be a motor vehicle as defined in the ITA, be fully electric, a plug-in hybrid with a battery capacity of 15 kWh, or fully powered by hydrogen and must not have been used, or acquired for use, for any purpose before it is acquired by the taxpayer. Additional rules are also proposed to deal with special adjustments resulting from the disposition of a zero-emission vehicle. For example, the proceeds of disposition to be deducted in calculating the undepreciated capital cost will be adjusted based on the $55,000 limit as a proportion of the actual purchase price of the vehicle. An election will be available to allow for Class 10, 10.1 or 16 to apply instead of Class 54 or 55. There are analogous changes to the GST/HST rules to align with the foregoing. Budget 2019 states that the Government of Canada will be creating a new incentive program for individual purchasers of electric battery cars or hydrogen fuel cell vehicles that have a manufacturers retail price of less than $45,000. The incentive will be up to $5,000. Details are to follow at a later date. The scientific research and experimental development (SR&ED) tax incentive program entitles a Canadian-controlled private corporation (CCPC) to a fully-refundable enhanced tax credit at a rate of 35 per cent, on up to $3 million of qualifying SR&ED expenditures annually. The expenditure limit is phased-out based on two factors (which are applied to an associated group of corporations): first, if taxable income for the previous taxation year is between $500,000 and $800,000; and second, if taxable capital employed in Canada is between $10 million and $50 million. As SR&ED tax credits are affected by relatively small changes in taxable income, Budget 2019 proposes to remove taxable income as a factor in determining a CCPC’s annual expenditure limit. As a result, small CCPCs with taxable capital of up to $10 million will benefit from the full access to the enhanced 35 per cent tax credit, regardless of their taxable income. On March 12, 2018, the Government of Canada and the Belgian linguistic communities signed The Memorandum of Understanding between the Government of Canada and the Respective Governments of the Flemish, French and German-speaking Communities of the Kingdom of Belgium concerning Audiovisual Coproduction (“MOU“), modernizing the 1984 film treaty between Canada and Belgium. Budget 2019 proposes to add this MOU to the list of instruments under which a film or video may qualify as a treaty co-production, thereby allowing joint projects of producers from Canada and Belgium to qualify for the Canadian film or video production tax credit. This measure will apply as of March 12, 2018. Cross-border securities lending arrangements (“SLAs“) typically involve a non-resident lending a share to a Canadian resident and the Canadian resident agreeing to return an identical share to the non-resident in the future. The Canadian resident typically provides collateral as security for the return of the identical share and is obligated to make payments to the non-resident as compensation for any dividends received on the share over the term of the arrangement. In this way the non-resident is exposed to the economic benefits and risks of the lent share in the interim period. An SLA is considered “fully collateralized” if the non-resident lender holds collateral in the form of money or government debt obligations with a value equal to at least 95 per cent of the value of the borrowed share and the Canadian resident is entitled to all or substantially all of the income from this collateral. The rules currently provide that where an SLA is fully collateralized, the dividend compensation payment is deemed to be a dividend that is subject to Canadian withholding tax. However, where the SLA is not fully collateralized, the dividend compensation payment is deemed to be an interest payment that is generally exempt from withholding tax, provided that the parties deal at arm’s length and the interest is not participating debt interest. Budget 2019 identifies two planning methods that have been used to thwart the application of the SLA rules and to avoid Canadian withholding tax on dividend compensation payments in respect of shares of Canadian resident corporations (“Canadian shares“). The first method involves entering into SLAs that are structured not to meet the “fully collateralized” test in the ITA, but are fully collateralized in substance. The second method designs securities loans to fall outside of the scope of the SLA definition in the ITA, thereby avoiding the SLA rules and Canadian withholding tax. These amendments will apply to compensation payments made on or after March 19, 2019, except for securities loans entered into before March 19, 2019, in which case the amendments will apply to compensation payments that are made after September 2019. Budget 2019 proposes to amend the ITA and the Cultural Property Export and Import Act to remove the requirement that property be of “national importance” to qualify for the tax incentives that apply to gifts of cultural property to certain institutions and public authorities. Since 2015, there have been more than 1,100 offshore audits, resulting in more than 50 criminal investigations with connections to offshore transactions. Budget 2019 commits an additional $150.8 million over five years. 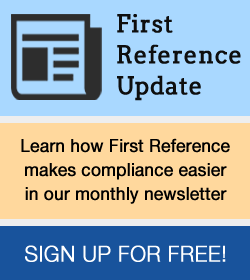 This will permit the CRA to expand existing programs and establish new initiatives, including the hiring of more auditors, building technical expertise to target non-compliance associated with cryptocurrency transactions and the digital economy, creating a new data quality examination team to ensure proper withholding, remitting and reporting of income earned by non-residents, and extending programs aimed at combatting offshore non-compliance. It is expected that these initiatives will generate additional tax revenues of $369 million. The CRA has focussed recent efforts on increasingly complex real estate transactions, resulting in more than $100 million in additional tax revenues. Budget 2019 commits $50 million over the next five years to create four new dedicated residential and commercial real estate audit teams in British Columbia and Ontario, which are noted as high-risk regions. These teams are expected to generate a further $68 million in tax revenues, by enforcing proper reporting of real estate transactions, including the use of the principal residence exemption, and the reporting of income from the flipping of real estate, and of commissions. At times, the CRA can apply a “one size fits all” approach to real estate audits, resulting in the reassessment of taxpayers that have bought and sold property in relatively quick succession, but for defensible personal reasons. Hopefully, the dedication of further audit resources will permit the CRA to focus on truly non-compliant taxpayers. Budget 2019 proposes $65 million to be invested in technology to improve the CRA’s systems, including replacing legacy systems, which will provide the CRA with the necessary infrastructure to stay ahead of non-compliance schemes perpetrated with new and advanced technologies. Finally, Budget 2019 proposes to allow the CRA to serve consenting financial institutions with requirements for information electronically. The goal of the amendments is to improve the efficiency and reduce the cost of the requirement for information process. The services of certain licensed health care professionals are already exempted from Goods and Services Tax/Harmonized Sales Tax (GST/HST). Budget 2019 proposes to similarly exempt the services of such professionals when combined as a multidisciplinary health service. The relief will apply to a service rendered by a team of health care professionals where all or substantially all of the combined service is rendered by health professionals whose services would otherwise be exempt from GST/HST. This will permit the multidisciplinary health service to include up to about 10 per cent of a taxable health service when provided in isolation. This measure will apply to supplies of multidisciplinary health services made after March 19, 2019. Quebec announced in Information Bulletin 2019-4 dated March 19, 2019 that it would harmonize the Quebec Sales Tax (QST) regime to this measure. Excise duty will be imposed under the Excise Act, 2001 on the quantity of tetrahydrocannabinol (THC) in cannabis edibles, cannabis extracts (including cannabis oils) and cannabis topicals, after these are permitted for legal sale in Canada later this year. THC is the primary psychoactive compound in cannabis. The excise duty is to apply at a flat rate of $0.01 per milligram of THC. The duty will be imposed at the time of packaging of a product and will become payable when the product is delivered to a non-cannabis licensee. The amendments to the Excise Act, 2001 are intended to simplify excise duty calculations for such cannabis products. Currently cannabis products (including cannabis oils) are subject to an excise duty that is the higher of, (a) a flat rate applied on the quantity of cannabis contained in a final product, and (b) a percentage of the dutiable amount of the product as sold by the producer. The proposed flat rate for these cannabis products is intended to allow their producers to more easily calculate, and the tax authorities to more easily verify, excise duties. Current exemptions under the excise duty framework will continue to apply in respect of fresh and dried cannabis and cannabis oils that contain no more than 0.3 per cent THC, as well as for pharmaceutical cannabis products that have a Drug Identification Number and can only be acquired through a prescription.